IT IS ARTICHOKE SEASON and what a glorious season it is. Green Globes are abundant, delicious and cheap. You can read about them in today’s Seasonal Pantry here. UPDATE: This post was originally written in the fall, when there was an excellent crop of California artichokes. But the spring crop is much bigger and thanks to our cold temperatures, artichokes have never been better. 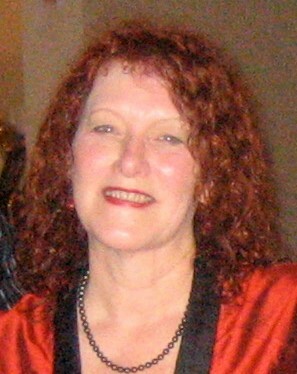 I can eat then three times a day, simply, with nothing more than melted butter, mayonnaise or good olive oil and lemon juice. At the end of this post, you’ll find links to recipes that do a bit more with California’s signature thistle. Because artichokes are abundant in early spring, it is easy to think of them as a spring crop and to be suspicious of them when they are bountiful again in the fall. 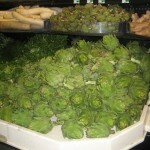 Where are these fall artichokes from? you may rightly wonder. They are all from California and the vast majority are from coastal farms near Castroville, the Artichoke Capital of the World, where artichokes are harvested year round. They are also harvested near Oxnard from October through January and in the Coachella Valley from December through March. In recent weeks I’ve seen big beautiful artichokes for reasonable prices at every market I’ve visited. 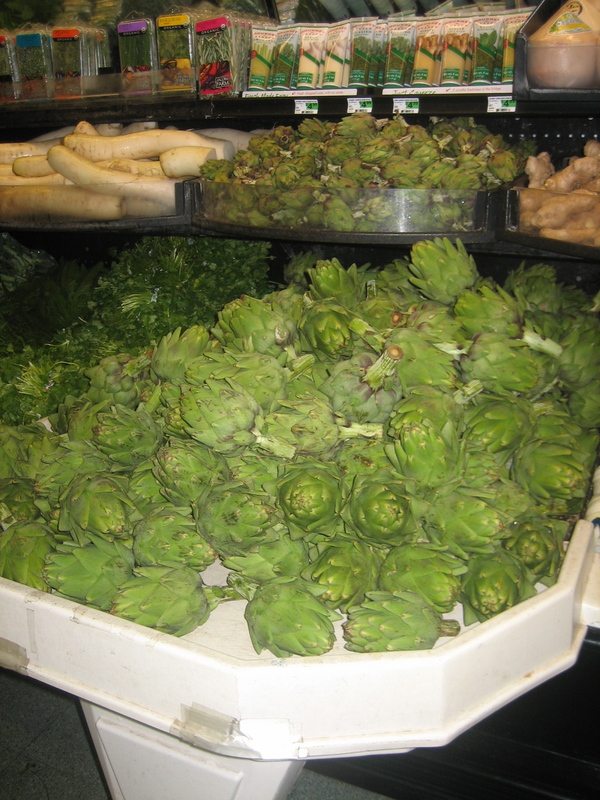 When you’re selecting artichokes, do you avoid those that seem to have brown shadings on the outer leaves? Don’t, as these artichokes, which the industry calls “frosted” because it is freezing temperatures that cause this appearance, are among the most tender and most delicious of all artichokes. A freeze is good for artichokes, just as it is for many foods, including carrots and most brassicas (cabbage, for example). In an upcoming Seasonal Pantry column, I’ll be focusing on some of my favorite ways to prepare artichokes in the winter. Here’s a hint: Dungeness crab and artichokes are delicious together. In the meantime, here are some favorite recipes from the Seasonal Pantry archives. How about sharing some of your favorites ways to enjoy one of California signature vegetables? Just post the details in the comment section. Artichoke & Green Olive Tapenade In this Pairing column, I combine roasted marrow bones with this fabulous tapenade, which can be used separately as an appetizer, a sandwich spread, a pasta sauce, a topping for polenta or with risotto.